Posted March 27th, 2019 & filed under England Carrier Services. It’s easy to get wrapped up in the day-to-day business of transporting goods. 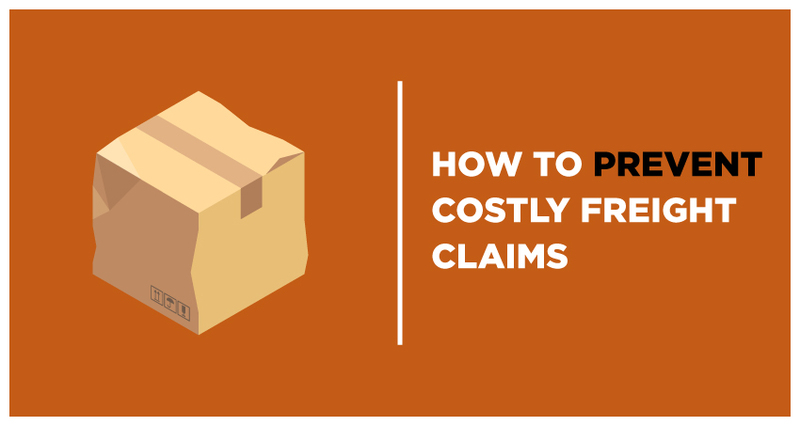 Unfortunately, giving into the whirlwind allows best practices for a healthy financial future to get pushed aside and opens you up to expensive errors, such as freight claims. However, there are simple practices that can be implemented into your daily routine that could protect you from annoying freight claims. Maintaining focus on mitigating risk will keep claims from cutting into your hard-earned profits. The most common high dollar claims are temperature related cargo claims. One reason for this is that they aren’t covered by cargo insurance policies unless there is substantial proof of reefer malfunction/breakdown. The good news is that the frequency of these claims can be reduced by taking preventative action as a carrier. Rather than get stuck with a hefty freight claim payment, carriers should use our recommended TPPDS method on each load to manage the BOL process. This is especially useful for carriers that handle produce loads during the hot summer months. The temperature on a BOL should be verified by the driver. Any difference from the load tender should be reported to the shipper and broker before leaving the loading dock. Pre-cool your reefer to the required temperature shown on the BOL before arriving at the shipping location. Add pulp to the product on the top, middle and bottom to ensure that it is at the required temperature before loading to avoid a freight claim. If you as the carrier are responsible for temperature, count and/or condition of the product, you should be on the loading dock. If you are not allowed, it is recommended that you should notify the customer so that it can be notated on the BOL before leaving the loading dock. Instruct your drivers that every load is required to have a seal placed on the trailer doors to avoid freight claims. The shipper should also notate the seal number and sign on the BOL. If these preventative measures are followed with TPPDS, it can drastically reduce the chance of being held liable for a claim that is related to the required temperature of the product. Carriers must also remember that it’s crucial to regularly maintain reefer units, keep the fuel in the reefer units above half full at all times, and check that the reefer is running at the required temperature as often as possible during your shipment. Make the most of your budget by ensuring safe delivery of each load and protecting yourself against freight claims.